A couple of weeks ago we started receiving boxes from my family. We have received four in total. 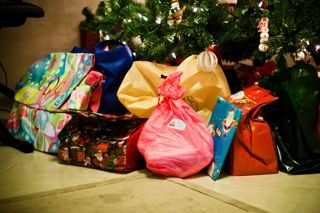 Each box has wrapped Christmas gifts for me, Paul, Lily and even some for my mom who will be spending Christmas with us. Thank you to my family who are so considerate and loving. We love you and look forward to spending Christmas with you next year.